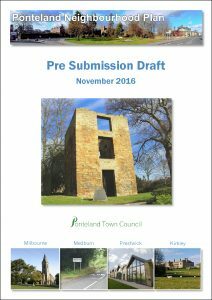 Ponteland Town Council has prepared a Neighbourhood Plan for the Ponteland Neighbourhood Area (the Civil Parish of Ponteland). The Plan proposes a number of planning policies which, once adopted, will be used in the determination of planning applications within the parish. 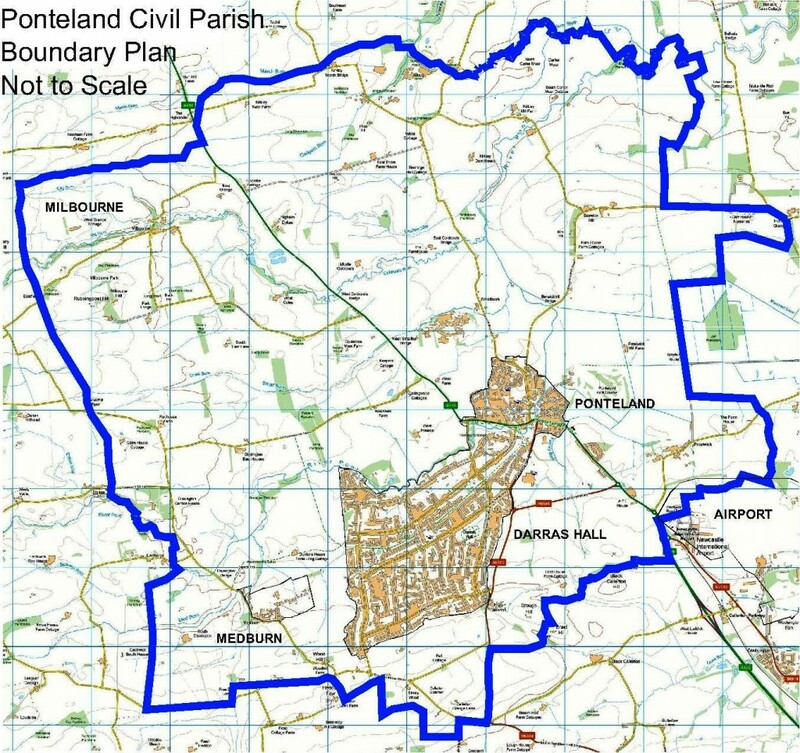 Ponteland Town Council has now submitted the Ponteland Neighbourhood Plan to Northumberland County Council, as local planning authority, for Independent Examination. Further information regarding the Examination will follow once arrangements have been made. Most of us would agree that Ponteland has a character that is quite unique, that could be one of the reasons we live here and not elsewhere. When considering our Neighbourhood Plan we need to start assessing what we have already, what are those special elements that give us that feeling, what needs improvement? and how can we influence any change for the better. 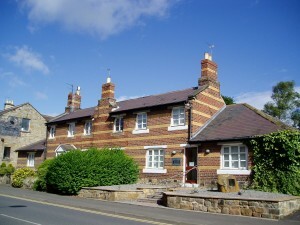 Through this process, the Ponteland Neighbourhood Plan Group agreed that the unique characteristics were focused around our history and there was a need to preserve it. At present while there is a designated Conservation Area in Ponteland there is no Appraisal or Management Plan. The Neighbourhood Plan will include a statement about why Ponteland has a very special character that would be destroyed by inappropriate development and also identify opportunities for enhancement. Whether it originally meant “the island by the river” or “the bridge near the island” it is not clear but it does show the two features of most importance to the early settlers; the river and the high ground on which the parish church now stands. Information taken from Ponteland “One Thousand Years of History” Author Leslie Almond. Ponteland can be divided into three distinct locations the original village settlement, Darras Hall Estate and the rural outlining area of the Civil Parish. Dividing the Town (or the village as we know it) is the A696 with the village on one side and the Darras Hall Estate on the other. Why do we need a Conservation Area Character Appraisal? It will help residents and the Council to understand the history of the area and why it is special. It will guide future developments and planning policies. It will illustrate what enhancements could be made. As part of the Neighbourhood Plan process a Community Character Statement has been produced by Members of Ponteland Civic Society, the North of England Civic Trust and other people who have an interest in the area and who care about its future. It includes consideration of the approaches along North Road, West Road and Ponteland Road as well as the Darras Hall Estate and the Northumbria Police Headquarters site, which all contribute to the unique character of the area. This is a special place. The mix of buildings and the unique rural atmosphere reflect the area’s history and give it a very special character that would be destroyed by inappropriate development. Future changes are inevitable, some changes are desirable, but any change must respect and understand the qualities of the area so as to preserve and enhance that character. Going back to the Armstrong’s map of 1769 it shows an expanse of water more than a mile long stretching beyond Dinnington, with an even greater area of marshland around subject to periodic flooding, caused by the slightest fall of the meandering River Pont and its tributaries such as the Fairney Burn. Even though in the 1860’s a new drainage system was introduced flooding of the village, the surrounding area and its access roads still continued to disrupt life. Heavy rain or melting snow would raise the level of the River Pont and its tributaries very rapidly; a frequent happening resulting in widespread flooding in and around the village. Mainly at fault was the tortuous course on the Pont and the outflow from the drains across Prestwick Carr, which joined the river near Berwick Hill Bridge not far from the point at which the Pont joins the River Blyth. The whole expanse of the Carr was a lake until the middle of the 19th century. The rural setting is valued by the community, with the River Pont passing through the village on its journey to meet the River Blyth. The town is surrounded by open countryside, mainly farmland and landscape corridors. The smaller watercourses feed the surrounding areas and wildlife corridors which make up a network allowing secure movement of the wildlife. The largest open green space in the town, Ponteland park an 18 acres space is well used by residents of all ages for recreational purposes, this and the SSS1 site located on Darras Hall Estate, cycleways and footpaths throughout the civil parish. After listening to the community the plan should ensure the right type of housing is provided to meet the need. There does appear that Ponteland currently has ample provision of housing stock but they tend to be of a larger property and what is required are smaller 1-2 bed dwellings for young families, first time buyers and older people wishing to down size. To make Ponteland a sustainable and vibrant place to live and work is vital to its on-going success. This will allow the local economy to thrive but it depends on your support and patronage. The youth represent the minority in the community with limited local facilities and the lack of recreational space. The neighbourhood plan needs to protect the existing facilities and strive to improve these for the young people. The trend has shown that currently the youth usually move away to complete their education at higher education, training or for employment.